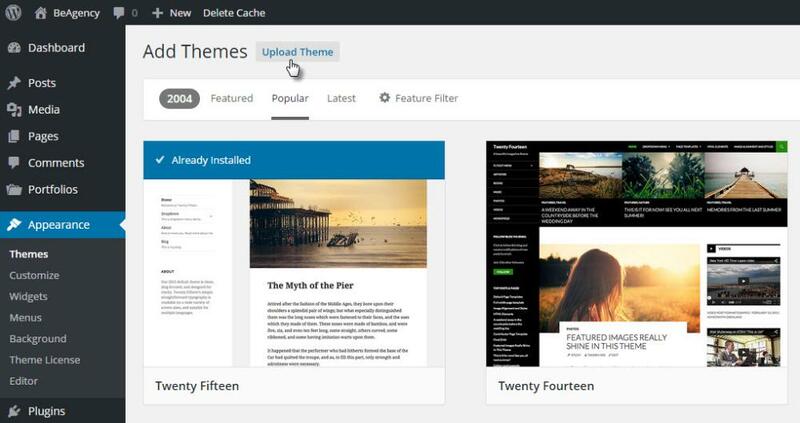 In this article, we will provide you with detailed instructions on how to install and activate themes on your WordPress site. We provide 3 methods to do that, choose the one most suitable to you. Log in to the WordPress Dashboard. Once there, go to Appearance -> Themes. Click on the Add New link at the top of the page, then click Upload Theme link. Select the ZIP file and install it. In cPanel File Manager, navigate to your themes folder. If your WordPress is installed in the document root folder of your web server you would navigate to "public_html/wp-content/themes" and if you have WordPress installed in a subfolder called WordPress, you would navigate to "public_html/wordpress/wp-content/themes". Once you've navigated to the themes folder in cPanel File Manager, click Upload file(s) and upload the ZIP file you saved. Once the theme file is uploaded, click on the name of that file in cPanel, then in the panel to the right, click Extract File Contents, and that ZIP file will be uncompressed. Log in to the WordPress Dashboard. Go to Appearance -> Themes. Activate the theme just uploaded. Download the theme ZIP file and extract the files it contains. Using an FTP client such as FileZilla to access your host web server. Upload the theme directory extracted to the "wp-content/themes" directory on your host server. Once the theme directory is uploaded. Log in to the WordPress Dashboard. Go to Appearance -> Themes. Activate the theme just uploaded.